Nexon Korea announced that with the release of the new job Evan, Maple Story recorded 240,000 simultaneous users during the Christmas period. The release of Evan received an explosive reaction from users who have waiting for the big update. This means Evan did not break the record. Nexon Korea recorded 240,000 simultaneous users when Knights of Cygnus was released in December 2008 and one year later Evan has done the same. The release of the Pirate job in 2007 had a total of 200,000 simultaneous users. The same for Aran. Right now South Korean students have a very long winter break, which means they have more available time to play. We’ll see how the next job will do. The future will tell. I have some other news that might be worth telling you; MapleStory DS is coming very soon. 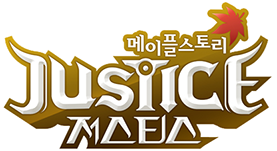 It looks like Nexon Korea is planning to release MapleStory DS in January. It was originally planned to be released in September 2007, but the schedule was extended. Maple DS does not support Wi-Fi. The last thing I want to tell is that the new creation of Wizet Studio ”Kavatina Story” has decided to temporarily pull the plug. Kavatina Story (MapleStory 3D) a game created by Wizet Studio has been in OBT (Open Beta) since July 2009. I stopped playing this game because the team did not release big updates. This also caused other players to lose interest in the game. On December 31st the service will end and you will not be able to play. Kavatina Story will be back with a new look and updates once they finished development. I wonder how well MSEA and GMS will do in comparison with this? As for whether the next class will be as popular (or even more so), it will boil down to the strength of the class in question. There’s also the popularity of the Adventurer class it’s based on. I’m personally waiting for a Thief Hero. Hopefully it uses daggers; there’s already a KoC Assassin. Daggers definitely need a boost. I’m not sure what you mean when you say “240,000 simultaneous users”? Arent there like millions of people playing Maple simultaneously in KMS? Is everyone playing their adventurer and not making Arans or Pirates or Cygnus or Evans? 200k to 240k users out of millions seems quite low to me. From what I can tell, KMS does not have a player base that is anywhere near as large as what GMS has. 240,000 simultaneous users is still a heck of a lot though. Spread them out across every world and every channel. If there really were millions of simultaneous users, I can guarantee you that competiton for maps would be much more intense (not to mention massive megaphone spam). I agree. I have made bandits in the past and to be frank, they were good but there was never enough people that used em, and as such no equips to buy for em.I t makes me mad that people wont use dits because night lords are seen as ‘cooler’ or ‘more powerful’.What really matters is that you enjoy the game, and make it fair for everyone. That 3D version of Maple sounds utterly crap, in my opinion. Agreed. MS concepts aren’t designed for a 3D game. Sweet mother of maple. my dream finnaly comes true.